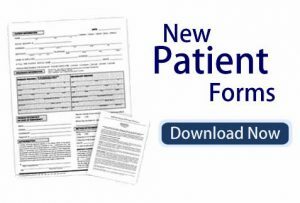 Carolyn, a 69 year old patient who recently completed a series of Deep TMS therapy, shared with us SPECT scan results taken by her treating psychiatrist, from before and after treatment. 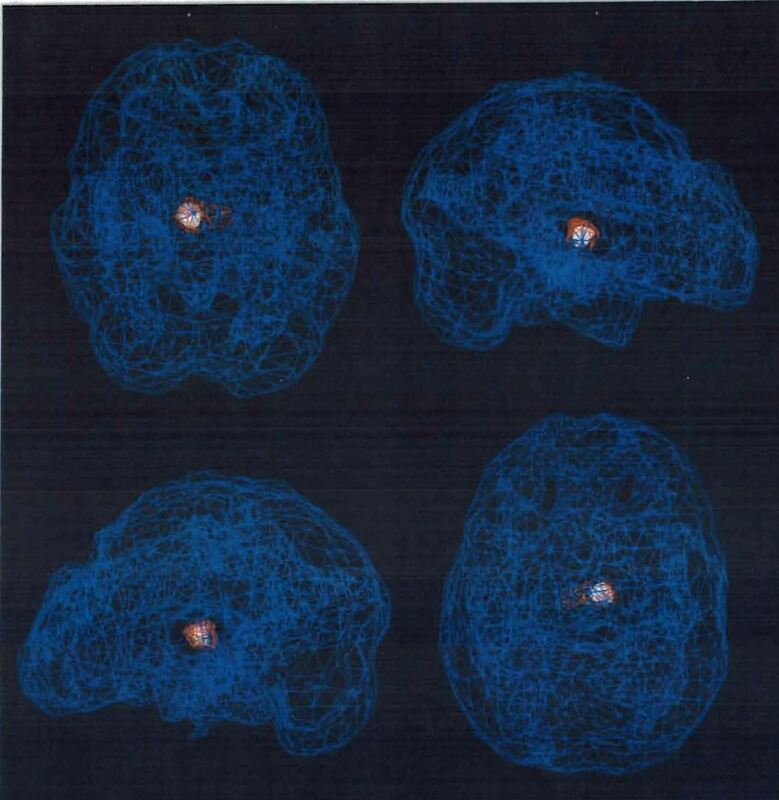 SPECT stands for Single Photon Emission Computed Tomography and is a nuclear medicine procedure used to study the functioning of the brain and other parts of the body. 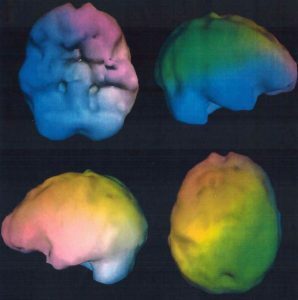 SPECT scans measure blood flow in the brain, which is directly related to patterns of activity in the brain. 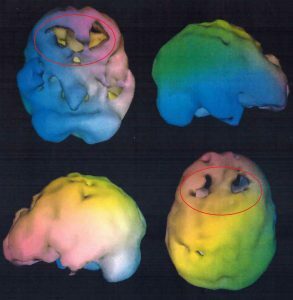 The areas circled above represent low blood flow and therefore low metabolic activity that were present before Deep TMS therapy and are associated with her symptoms of depression. 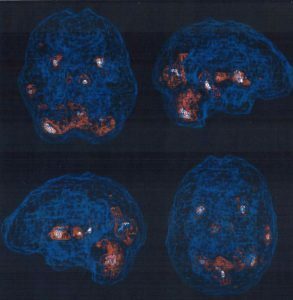 After Deep TMS treatment, these areas of the brain are showing more blood flow and metabolic activity and correlate very well with the remission of her depressive symptoms. For more information, videos and interviews about Deep TMS and our clinic, please follow us on Facebook. Click here for more information.